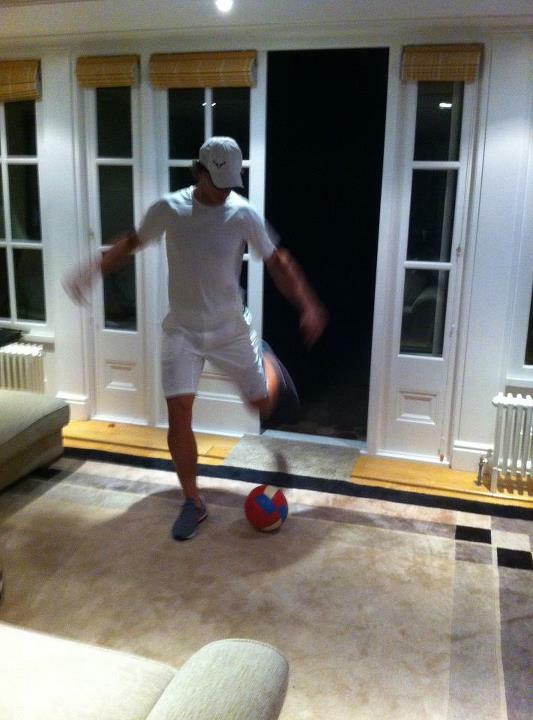 TENNIS BOULEVARD: WIMBLEDON: Has football framed Rafa Nadal? 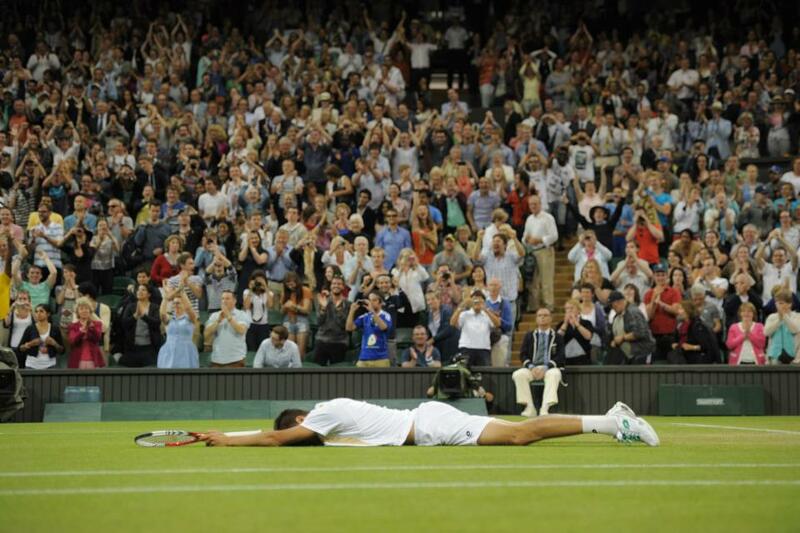 The world is still in shock over Rafael Nadal's second-round knockout at Wimbledon. The Spanish was upset by world’s 100th-ranked player Lukas Rosol in five epic sets and, for some tennis experts, this is one of the biggest shocks in Wimbledon history. Rafa has reached the Wimbledon final the last five times he had played the event, and he hadn't lost this early at any Grand Slam since 2005. The day after, everyone is asking: How did this happen? First of all, Lukas Rosol played top-notch tennis. Czech Republic's player made 22 aces, had a perfect swing and crushing forehand winners. It was the match of his life. “I mean maybe it’s once in life you can play like this against Rafael Nadal on Centre Court, and you can win against him", said the Czech at the post-match press-conference. Rosol equated his victory with a B soccer team from the Czech Republic beating Real Madrid. In fact, it's good he mentioned football, because, in our perspective, football had great influence in Rafa's loss. The night before his second round match, Nadal watched Spain's semifinal against Portugal in the Euro 2012, surrounded by friends and his team. If you don't know anything about soccer, we can tell you that the match had a record audience rating in Spain (during penalties, it got the highest TV ratings ever in the country) and in Portugal (most watched TV program in the last 8 years). It was a tough and intense match, decided in the penalties, after almost two and half hours of passionate competition. Spain won but watching the game was painful for the fans. 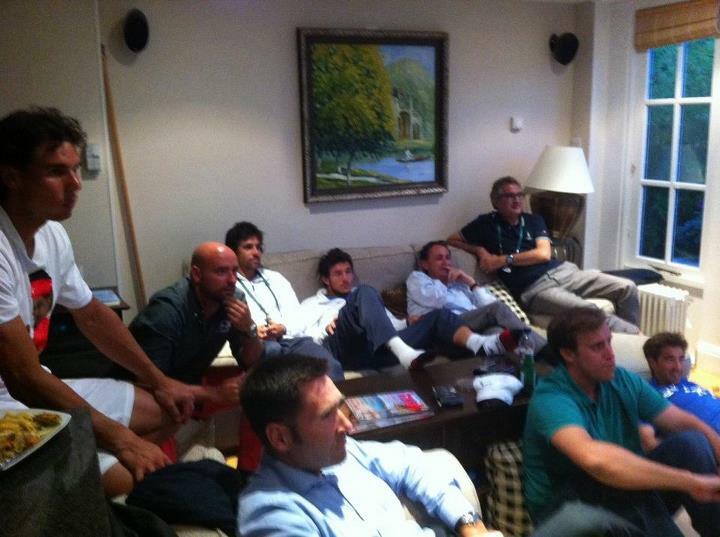 The match ended at around 10:30 PM in London, but we can guess Nadal stayed up late - he had friends at his Wimbledon home, and the victory was so significant to Spain that it was impossible for Nadal and his friends not to celebrate. Such an emotional and out of routine episode, during Wimbledon, must have had an effect on Nadal. We can't say he lost the match because of football but certainly it had an impact on his game. After his defeat, the Spaniard admitted he's been feeling tired. Staying up late, maybe having a drink or two, sharing an intense football night with friends probably wasn't the best idea on the eve of a Wimby's second-round match. “Physically, you need to rest. I played for the last six months, playing almost every match possible. And sure, physically, I need to stop a little bit. The only thing that I can do is go back home and rest, which I need and I deserve”, Nadal said in the post-match press conference. World Nº2 recognized that losing against Rosol “is not a tragedy. It’s only a tennis match.” He will go back to Mallorca and will enjoy a short vacation before starting his preparation for the Olympics, which will be held again at the All England Lawn Club. But not everything is bad news for Rafa. At least, on Sunday, he can enjoy Euro 2012 final between Spain and Italy and, who knows, celebrate another victory for Spanish football with his friends goalkeeper Iker Casillas and forward Fernando Llorente.